Fiercely independent and proud of it, Kate Van Horn loves her life as a successful, single New York woman. She has no plans to marry. And children are out of the question. But when she falls for Alec Callahan, all bets are off. Alec seems perfect in every way, until she discovers he brings more to the table than good looks and irresistible charmnamely, a young daughter from his first marriage and a hateful ex-wife. But believing in the power of love and the strength of her determination, Kate marries Alec and hopes for the best. Maintaining a demanding career while adjusting to the challenges of instant parenthood proves difficult enough. But when her husband’s ex-wife makes it clear she’ll stop at nothing to make life a living hell, Kate is faced with a most agonizing question. What do you do when love asks too much? 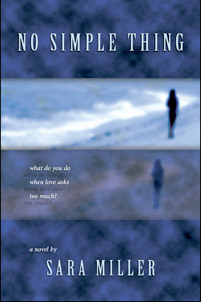 A list of Sara’s published books as well as a sampling of some of her favorites. Most of Sara’s books can be found at your local bookstore in addition to amazon.com, barnesandnoble.com, borders.com, and various other online booksellers. This gold-foiled wedding planner marries elegance with practicality. 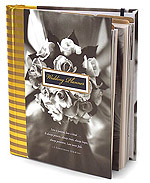 Nine dividers featuring beautiful wedding photos and quotes organize the book into basic categories such as Master Plan & Budget, Invitations & Announcements, The Ceremony, etc. Convenient pockets hold important documents and a summary page for key phone numbers offers information at a glance. Calendar pages allow for detailed planning before and after the wedding. As beautiful as it is useful, this planner will also serve as a keepsake to treasure forever. 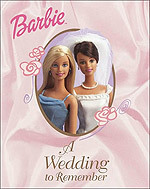 Barbie’s best friend, Monica, is getting married! There’s tons to do before the wedding, from planning the surprise bridal shower to picking out the coolest wedding present to buying the perfect dress. Join in all the fun when you read Barbie’s bridesmaid’s diary! What could be more fun than a sleepover with your best friend? Whenever you get together there’s sure to be lots of giggling, gossiping, munching, slurping, and, let’s face it, very little slumbering! 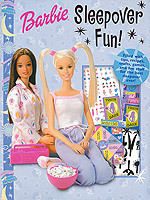 With this sensational pack stuffed with activities, Barbie’s terrific tips, and five entertaining sectionThings to Make, Great Games, Girly Guide, Pillow Party, and After Darkyour next sleepover is guaranteed to be the best ever! 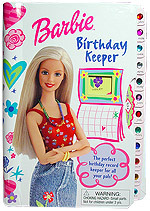 You’re sure to have a blast filling in your Birthday Keeper with friends’ birthdays, favorite things, and wish lists. This awesome book also gives you the inside scoop on their lucky colors, birthstones, lucky flowerseven insider information on their personalities! And don’t forget to check out the Gift Shop for great gift ideas your gal pals will love. Birthdays have never been so much fun! When you’re a kid, life can be pretty complicatedespecially at school! But hey, even if school’s not cool, you can still have fun playing A Kid’s Life. Try to survive the school week and make it to the weekend! Now you see Tiggernow you don’t! 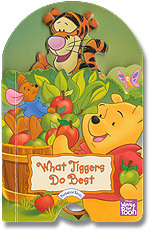 Have fun making Tigger bounce in and out of each scene as he tries to decide what tiggers do best.